Res Obscura: The Alchemy of Madness: Understanding a Seventeenth-Century "Brain Scan"
The Alchemy of Madness: Understanding a Seventeenth-Century "Brain Scan"
The image above is a detail from a remarkable 1620 engraving I first came across this past summer. 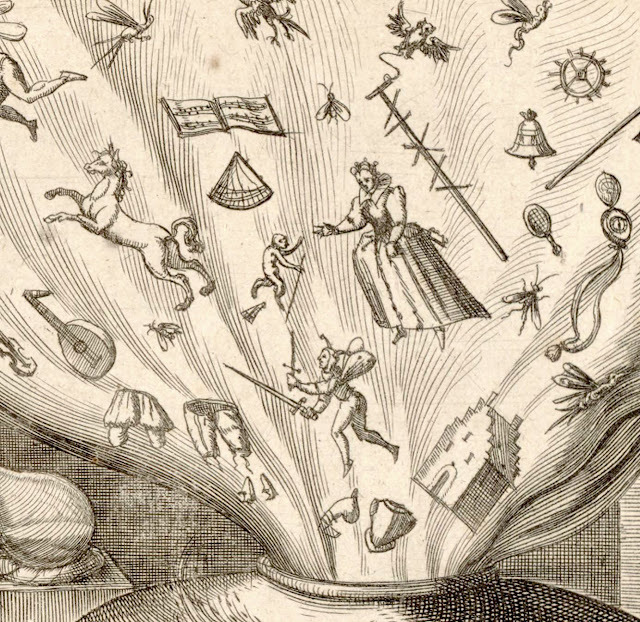 It shows a man sliding another figure into what looks like an old-fashioned oven - but instead of smoke, images of the man's thoughts billow out of the oven's top. 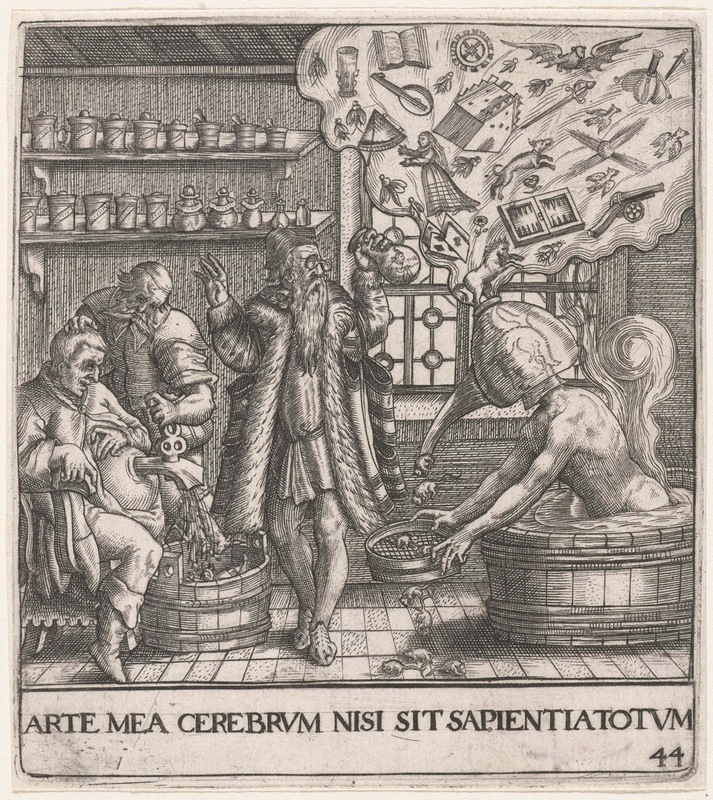 The "baker" is in fact an apothecary, the "oven" is a distillation apparatus, and the man whose thoughts are boiling out of his head is someone being treated (metaphorically) for madness. The full image is even stranger. Two well-dressed figures stand before a wall of shelves stocked with drug jarsbearing labels like Modestie, Raison, and Memoire. One is pouring a potion marked Sagesse (wisdom) into the opened mouth of a seated figure who grips the pourer’s arm uneasily. Below, court jesters wearing fool’s caps tumble into a bedpan. 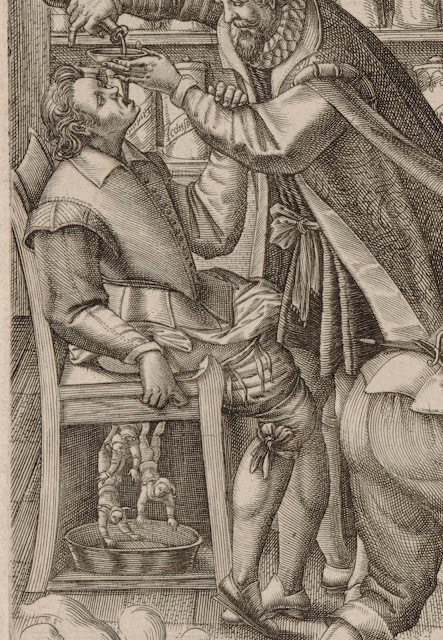 "Le Médecin guérissant Phantasie," Mattheus Greuter, 1620 (Bibliothèque nationale de France). 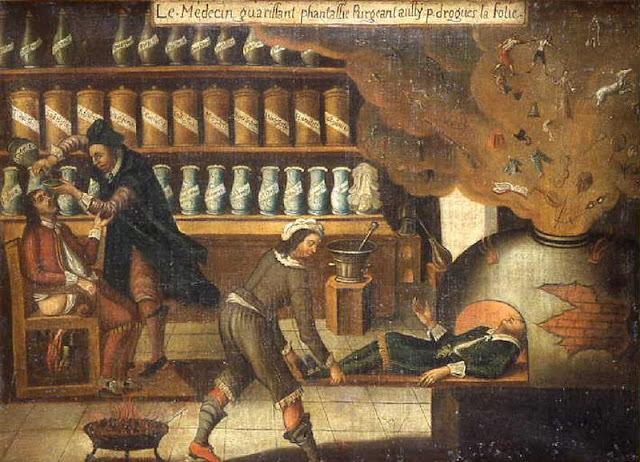 To the right of these two— leaning in front of a distillation apparatus, a mortar and pestle, and a lengthy medical receipt pinned to the shelf—is an apothecary pushing a man on a long board into a distillation furnace. Above, the fantasies that had filled this man’s head emerge as the rarified quintessences of distillation: horses, backgammon boards, armor, pantaloons, women, swords, theater masks, flowers, hunting dogs, and, unaccountably, a monkey brandishing a walking stick. I think that it's one of the most memorable and mysterious depictions of early modern science and medicine I've ever seen, and I thought I'd try to figure out a bit more about it here. qu'incontinant deviendrez du tout sages. That can make the foolish cogent. Even after the cursory research that I did when I first encountered the image, it became clear that this was a pretty popular motif. The basic imagery of a cloud of "phantasies" being distilled from a fool's head by a physician-alchemist appears in at least seven variants that I've been able to find: the French-language version shown above, apparently created by a printer named Mattheus Greuter in 1620; a German-language original from 1596 along with several later copies; a much-altered English versions; and, fascinatingly, a full-color French painting that was seemingly based on the engraving rather than the other way around. 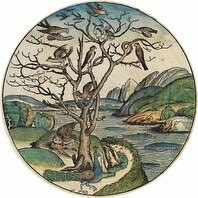 The earliest iteration of the image would seem to be from a book of emblems created by the Belgian engraver and printer Theodor de Bry (1528-1598) which was published two years before his death. 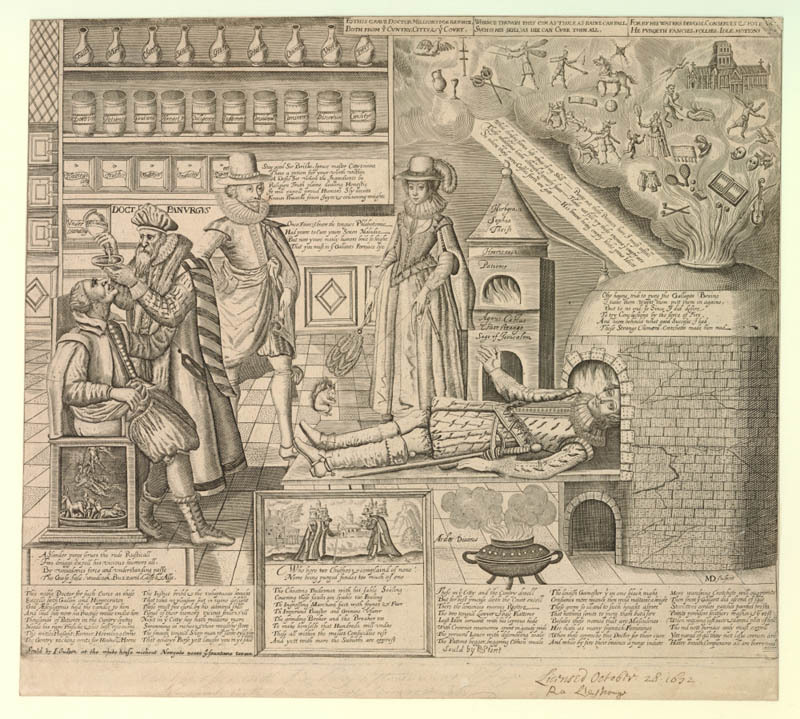 This included a picture of a "Narrendoktor" (Fool Doctor) distilling the madness or folly out of a man's head using an alchemical still, while his associate opens a spigot in a man's stomach to purge him of his foolish humors. 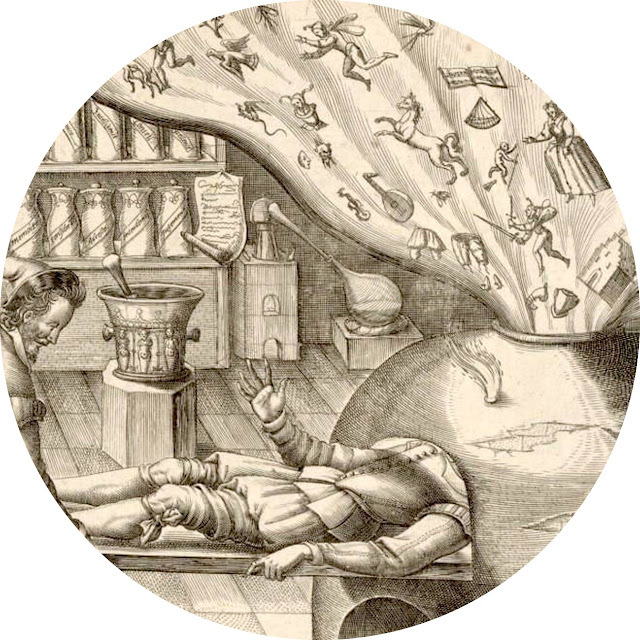 Interestingly, this version shows a closer attention to the actual technology of distillation, as it also shows a solid distillate falling to the ground in the form of mice. The Latin caption can be translated to something like "My art can be all knowledge--except wisdom." Engraving of the "De Narrendoktor" from Theodor de Bry's Emblemata Secularia (Frankfurt, 1596). the paths of fools’ brains. Another German version, from 1648, offered an expanded caption in the voice of one Doctor Wurmbrandt (Wormburner), who implores, “trust me to bring you back to your right mind” when you suffer from “wild imaginings as when... having become quite drunk... you are conscious of nothing, whether you are a man or woman.” His cure is effected by the new chemical arts: a still worn over the head produces a kind of cognitive vapor—bat, dagger, backgammon set, a woman, dueling pistols—that sublimates into the air and leaves the patient freed from psychological distress. It’s an image that would have had an obvious metaphorical resonance for early modern Europeans who saw the human body as a microcosm. If illnesses are indeed caused by fermentations of the blood, poisonsous corpuscles, or malignant humors, then why not move from distilling drugs to practicing medical chemistry directly on the human body itself? That you must in the Gallants Furnace lye. It reminds me a lot of the metaphysical poetry of John Donne, with its complex medical and alchemical references ("the tongues Phlebotomie" is a reference to the common practice of medical blood-letting or phlebotomy, but seems to be suggesting that previous generations of women could be cured by speech, whereas now, because of their "manly humors," they required new alchemical technologies like "the Gallants Furnace"). Anonymous painting in the Musée Rolin, Autun, France, mid to late 17th century. I'm still trying to get to the bottom of this series of interrelated images, but I suspect that their popularity had to do with an emerging awareness of what we would now call mental illness in seventeenth-century Europe. As new drugs and therapies began to reach Europe via colonial networks that brought physicians into contact with non-European healing traditions, some began to wonder if the new medical practices of the seventeenth century could cure madness or folly in the same way that cinchona bark could cure fevers. 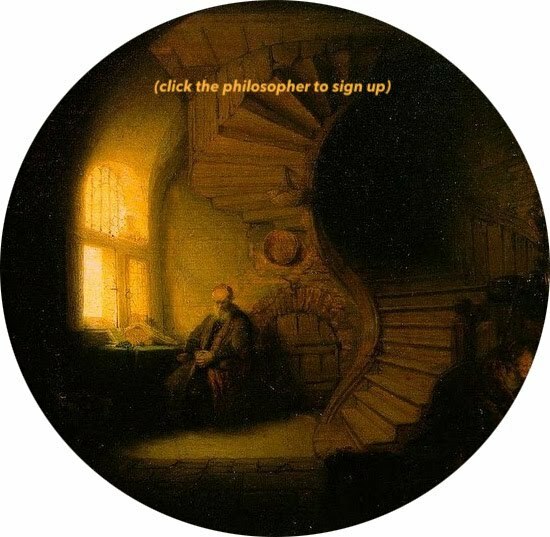 Natural philosophers like Robert Boyle also became interested in the possibility of what we would call psychedelics or smart drugs: in Boyle's remarkable list of "desiderata" for future inventions, he included "Potent Druggs to alter or Exalt Imagination, Waking, Memory, and other functions" as well as "Freedom from Necessity of much Sleeping exemplify’d by the Operations of Tea and what happens in Mad-Men." Likewise, when Robert Hooke experimented with cannabis in 1689, he concluded that it might "be of considerable Use for Lunaticks." In short, these images point to an emerging interest in the brain and in the scientific alteration of mental states. When I first shared the French version of the image on Twitter, several people remarked that it seemed almost to be a seventeenth-century prefiguration of an fMRI. And indeed, I believe that in some ways they were - that these images were part of an emerging interest in cognition and mental illness that, in its convergence with alchemy, points the way toward a new approach to understanding the brain as a material structure that can be studied and manipulated in the same way that a chemist induces chemical reactions.